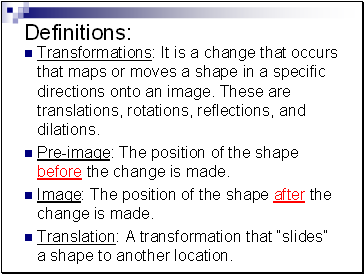 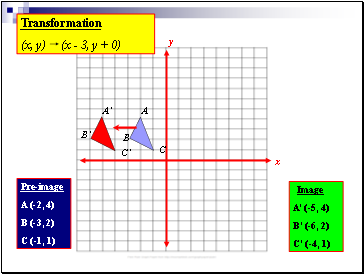 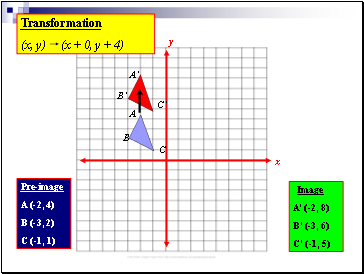 Transformations: It is a change that occurs that maps or moves a shape in a specific directions onto an image. 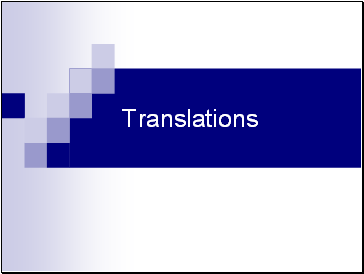 These are translations, rotations, reflections, and dilations. Pre-image: The position of the shape before the change is made. 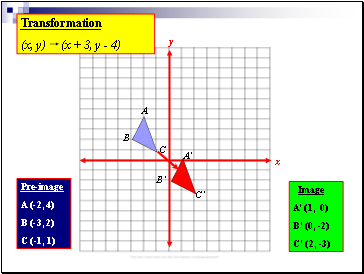 Image: The position of the shape after the change is made. 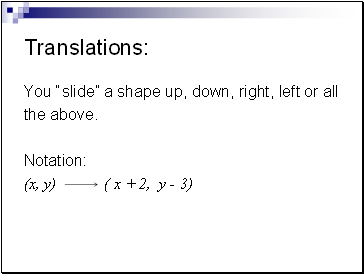 Translation: A transformation that “slides” a shape to another location.